We have knowledge and experience in over 4,000 land parcels across the state. Counties include Alameda, Contra Costa, Lake, Marin, Mendocino, Napa, San Benito, San Francisco, San Joaquin, San Mateo and Ventura. Our team can provide clear answers concerning your property. The long history and rapport we have with local agencies and other professionals allow us to effectively navigate your project through to completion. 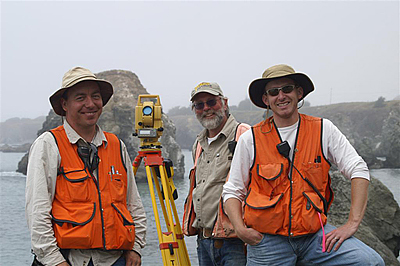 We are licensed by the Board of Professional Engineers and Land Surveyors. Fred Phelps and Joe Hughes are licensed by the state of California. Our field equipment consists of the latest in electronic theodolites with built-in distance measuring capability, along with real time kinematic Global Positioning System receivers.